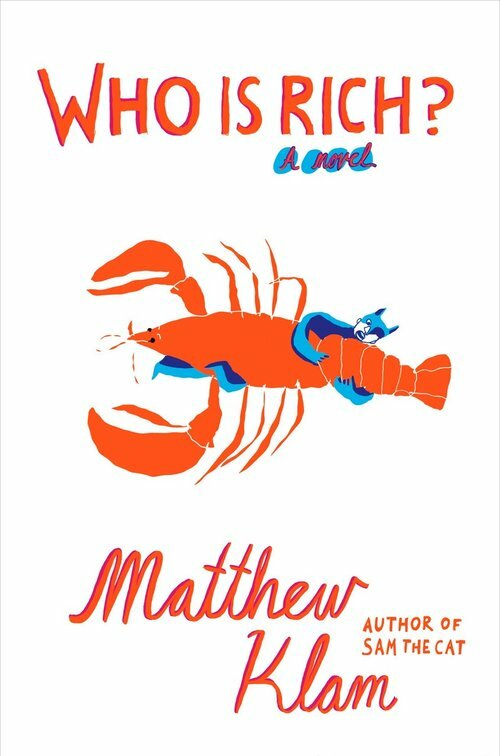 Matthew Klam is the author of the new novel Who Is Rich?. He also has written Sam the Cat and Other Stories. 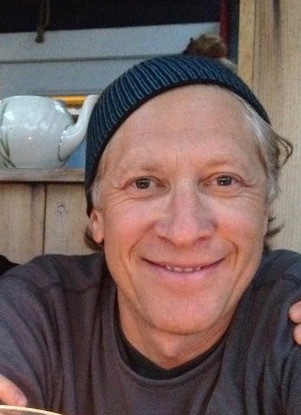 His work has appeared in a variety of publications, including The New Yorker, Harper's Magazine, and Esquire, and he has taught at Johns Hopkins University, American University, and other schools. 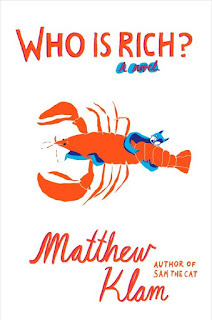 He lives in Washington, D.C.
Q: How did you come up with the idea for Who Is Rich?, and for your main character, Rich Fischer, a cartoonist teaching at a summer arts conference? A: I have attended those summer arts conferences for decades, a couple of times as a student and many times as a faculty member. It seems they’re summer camps for grownups. We assemble a persona for the people we work with, our neighbors, and all that stuff is set aside. It’s grownups indulging in another self—you set aside your mortgage, your marriage, and you’re really focused on one thing. You want to read a page of your memoir on stage…If you can get that other side of people in midlife, that’s where the general idea came from. I was there studying [cartooning] just for fun. I started teaching at Johns Hopkins and it was fun to take a week out and draw…Everybody knows comics. We tap into it with our kids. When my daughter was 2 or 3, I did a lot of [that type of] reading. Q: One of the themes that runs through the novel is creativity and how an artist works. What does Rich’s career say about the life of a creative artist? A: It probably says it’s kind of challenging. Everybody’s life is hard. People in the arts come to understand that, especially people like Rich, who had a fairly effortless start. I share a lot of his background. 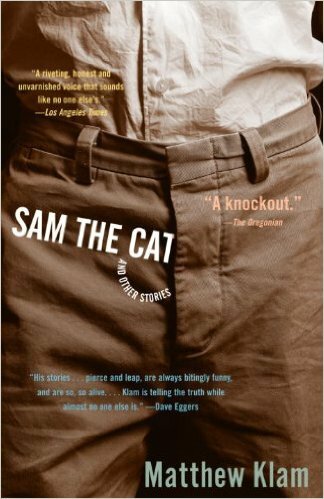 He had a lot of notoriety, he published a book, and then all of a sudden he’s in his 30s, and what’s next? It’s illustrative of an early success story and what happens after that. A: I was casting around for a while for a title that did a good enough job of covering the bandwidth of the book. I though of “Who Is Rich and Why?” I ran it by a friend who said it was too complicated. I thought [Rich is] pretty obsessed with his envy of money, more than with money itself. Ron Charles did [pick up on that] in the Washington Post review, but in the early reviews I don’t see people paying much attention to that. Q: Another theme in the book is marriage. How would you describe the relationship between Rich and his wife, Robin? A: Yesterday I was talking to someone who said very defensively, That’s not my marriage, but I’ve been there. You have to note that [Rich and Robin] are on the tail end of the sleepless years. They have a functioning marriage, but they do not have much insight, until the end. They’re in an awful place, but I really am hoping just by showing how much he knows about her, you’d get the sense he cares about her. Q: Yes, how do you see the role of Amy in the book? She’s an American archetype, like a frightening Ralph Lauren model. What she really is is someone who wasn’t averse to going into banking, she met someone who’s in it…who is a billionaire. You can understand her staying, you can understand her leaving. I came at [her relationship with her husband] from a few different angles. A lot of people I know have relationships that are works in process. Theirs is exaggerated. And she may not be giving [Rich] the full story. Q: Why did you decide to set the novel in 2012? A: It’s probably the unwieldy nature of the long haul of writing a book. I started it in 2010. In 2014 and 2015 I hoped whatever would happen in the next presidential election wouldn’t be so extreme that it would distract us. Little did I know. I turned in the finished manuscript in July 2016. We worked on it in the summer and the fall, The die was cast in 2016. I was hoping Hillary would win. A: Putting some things in a folder. That’s about as far as I’ve gotten. I’m working on a couple of little things. I’m pretty distracted by being public with the book. It will take time to calm down.